Gently remove daily impurities with the BaByliss True Glow Brush. With its gentle sonic technology, the True Glow Brush ensures visibly healthier looking skin without the risk of irritation. 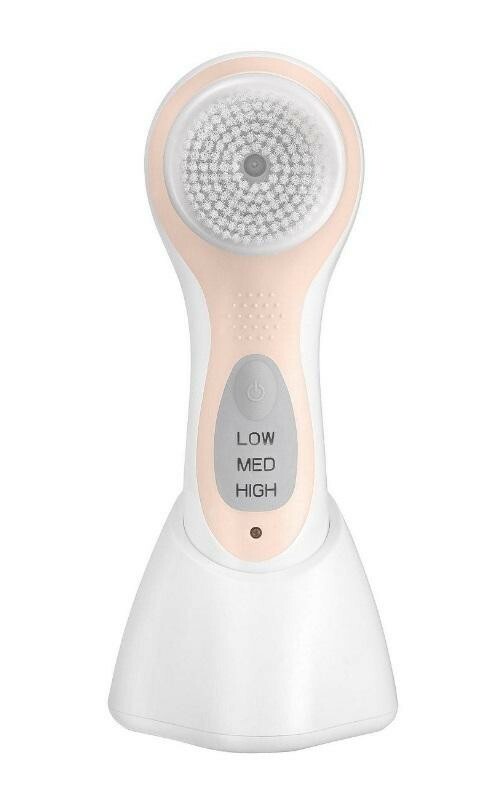 The purifying facial brushes lift away make-up and dirt from your pores and is twice as effective than manual cleansing. Leaving your skin feeling silky and smooth, the Babyliss True Glow Sonic Skincare System 9950U is perfect for exfoliation. Switch between 3 speeds for a customisable cleansing routine for your face and body.